With the end of the year coming, it is time to usher in year 2010 very soon. As a regular goer to the bookshop,. I have noticed that bookshops have started with the stockpiling of books. A bulk of these books are assessment books due to the fact that school is reopening for students real soon in just a month time. However, if you are observant enough, you will notice that the bookshops have also started to sell horoscope books and fengshui for the coming new year 2010! A quick glance convinced me on yesterday’s visit to the bookstore that the number of Fengshui books outnumbers that of English horoscope books. Actually there are also Chinese horoscope books too, just that some Chinese horoscope books marry the theme of Fengshui into their book collection thus one can find customized horoscope forecast as well as Fengshui readings for their Chinese star signs come year 2010. I think the publishers of these Chinese horoscope and Fengshui books are smart as they have customized books for readers of each different Chinese animal sign. As compared to a general Fengshui or Chinese horoscope book, more people would hence become buyers of these books! Actually, this tactic is similar to books of English horoscope where there are different books catering to each of the different 12 star signs. Strictly speaking, every new Chinese year starts on the first of every Chinese lunar month and for year 2010, Chinese lunar new year falls on 15th Feb 2010, a day after Valentine’s Day. As a Singaporean, I enjoy celebrating both New Year and Chinese New Year, though I believe more in Chinese horoscope than its western counterparts. Come every Chinese new year, do check out whether you are one of the animal signs which offend the deity “Tai Sui”, if you do, you would have to pray to the deity to seek forgiveness. Fengshui to some is a belief and a reality, to others, it is a superstition. I do believe in Fengshui as I truly believe that the flows of cosmic energies will have both positive and negative bearings on humans. There is a market for Chinese Fengshui both in Singapore and in the Western world such as United Kingdom and the United States. 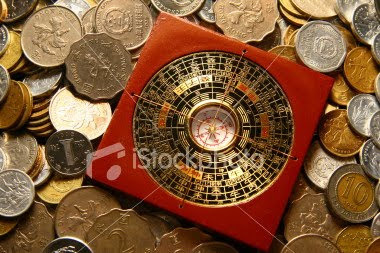 Many Fengshui astrologers and practitioners here have also become very rich indeed from their business. This just goes to prove that there is a strong demand for enhancing Fenghsui in our daily lives, especially for businessmen who may want to do everything right to their environments keep the counter ringing.